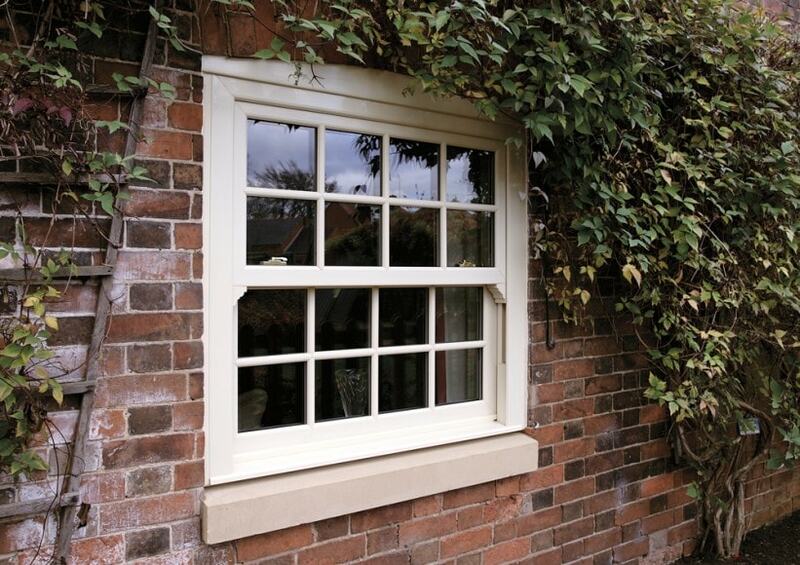 uPVC sash windows (sometimes referred to as vertical sliding windows) are the ideal solution for any home with traditional timber sash windows that are in need of replacing. Traditional timber sash windows can be prone to draughts, leaks and poor security however with our uPVC sash windows there is no compromise as they combine the latest engineering to offer exceptional insulation and high security with classic and stylish design at a more desirable price point than timber replacements. Our sash windows have been designed to keep your home fresh and well ventilated. Both top and bottom sashes can be partially opened, allowing fresh air to enter through the lower opening while warm, stale air escapes through the top. This enables air to circulate constantly, keeping your rooms cool and fresh on hot summer days. The design for our vertical sliding sash windows means that they can easily be cleaned and maintained from within your home. As well as sliding up and down, both upper and lower sashes tilt inwards so that the outer pains can be accessed from inside the home, meaning that windows above ground level can be cleansed safely without the need for ladders. All our uPVC products are specially formulated to ensure that your windows won’t discolour. Meaning no unsightly yellowing will occur in your windows over time. We manufacture many of our products at our facility in Essex meaning that all our whites are exactly the same white and all our wood grained products match perfectly. Manufactured to the highest standards you can be certain that your windows will look good and work flawlessly for years to come. For your peace of mind, our sash windows, as with all out products, are covered by our 10 year insurance backed guarantee provided by the Plastics Window Federation.